The benefits of using forklift attachments mean that you don’t have to spend huge amounts of money having to go out and buy specialist-handling equipment. Instead what you have is a range of options to turn your forklift into a multi-tasking ‘Swiss army knife’. Effectively, forklift attachments become cranes, jibs, access platforms, skips, long reach facilities and even snow ploughs and floor sweepers. 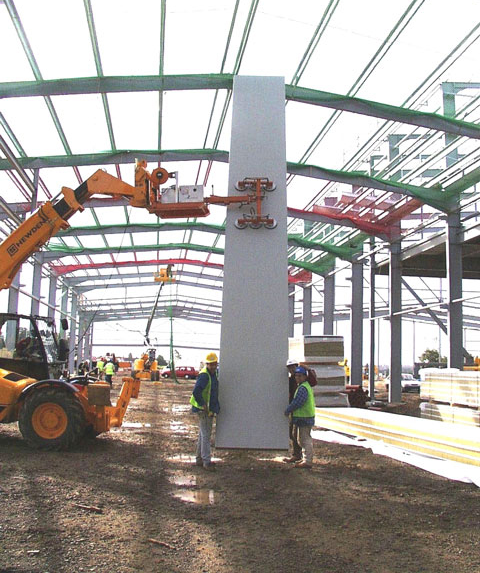 The Ocktopus panel lifting system is fast becoming a highly popular piece of equipment for any building site and construction dealing with panels. Named because of many sucker pads the Oktopus uses a well designed and flexible air pressure system to move panels both vertically and horizontally. Using air pressure as an alternative to heavy lifting gives you the benefits of using a lightweight system, ease of movement, flexibility and cost effectiveness. 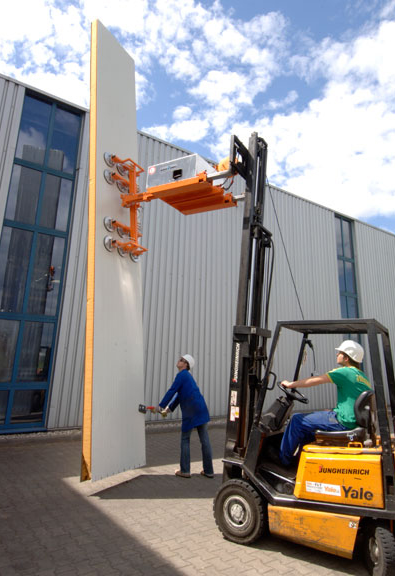 The Oktopus is typically used as a forklift attachment, and can be placed onto the forklift to create a safe means of moving glass, ceramic and metal panels. Despite being an attachment, it also work independently of the vehicle itself and is powered by its own rechargeable battery supply. Has a rechargeable battery and can move independently of the forklift. With a lifting capacity of 1500Kg when retracted and 1000Kg when fully extended it offers a compact and east way to transport heavy loads. 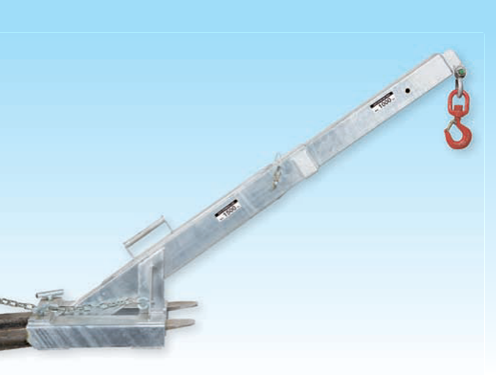 The attachment itself weighs only 55Kg so it is easy to transport and is able to clamp onto forklifts safely with a locking pin and additional security chain. For complete specifications please see the attached PDF files for the available equipment ready for hire.